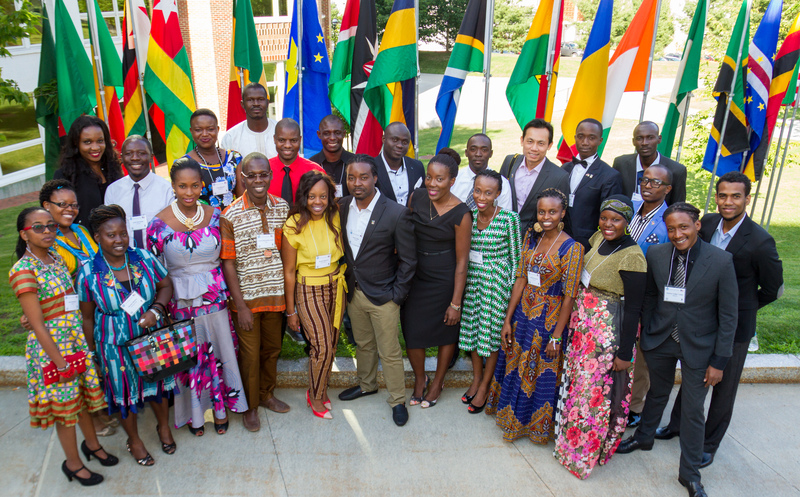 An amazing group of African entrepreneurs at Dartmouth College this summer. In July, President Obama visited Nairobi, Kenya. At the Global Entrepreneurship summit, the President declared that “Africa is on the move” and urged African entrepreneurs to pursue innovative projects to stimulate economic development on the continent. Obama also noted that “Women are powerhouse entreprenteurs. This is the second year of the program. More than 30,000 Africans apply for the fellowship but only 500 are accepted to study at 20 different American colleges and universities for 6 weeks of leadership training and mentoring in business and entrepreneurship, civic engagement and public administration. So what does this program actually look like? 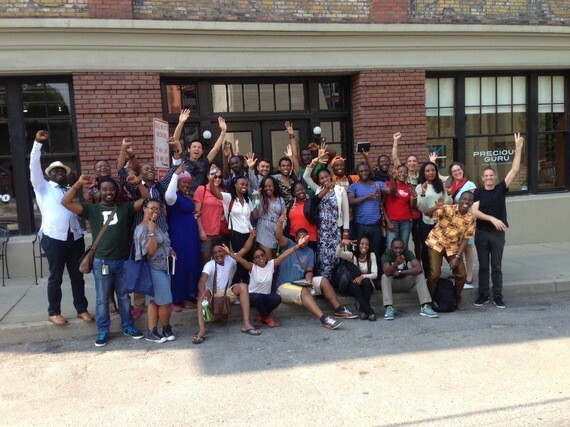 What happens when you bring 25 of Africa’s top young entrepreneurs and put them in New England to study design, innovation and business? It looks a lot like Hanover, New Hampshire and Vermont this summer. In July, I taught 25 African entrepreneurs at Dartmouth College where the focus was on design, innovation and entrepreneurship. The members of my group were between 25 and 35, and hailed from 17 different African countries. And they were one of the most impressive groups of people I’ve met. They included doctors and engineers, teachers and community leaders, journalists and renewable energy developers. My time together with them focused on teaching and guiding these talented individuals through a class called “design-driven entrepreneurship” where we dug into innovative business creation through a human-centered design process. The six-week program also included leadership training with the Rockefeller Center for Public Policy and team building with the Dartmouth Outing Club (including a day on the high ropes course). The fellows did storytelling workshops with Ashoka and attended business lectures by professors at the Tuck School of Business. One of the best parts of the program was that the African fellows got to meet and visit with some of Vermont’s most innovative entrepreneurs — like Hinda Miller who created the sports bra, David Blittersdorf of AllEarth Renewables, and Paul Budnitz of Ello. They spent a morning with Michael Jager of Solidarity of Unbridled Labourdoing a workshop on brand strategy. And they visited some of best Vermont businesses including Simon Pearce, King Arthur Flour, Seventh Generation and Ben & Jerry’s. At Solidarity of Unbridled Labour in Burlington, VT. In addition, they immersed themselves in the Upper Valley community through stay at home visits with people in the area. They also engaged in community service by volunteering at places like The Haven, a homeless shelter and food pantry, and Willing Hands, a garden and food production-distribution service for those in need. All of the African Fellows are entrepreneurs in their own right: Kondo Moussa is founder of the weekly printed newspaper, L’Express de Bamako, and president of the NPO Giving Back Mali. Jamila Mayanja is the CEO of Smart Girls Uganda and founder of a franchise company called J Mobile Laundry Services. Washikala Malangoof the Democratic Republic of Congo is founder and co-director of the Alternative Energy Technologies Distribution Company (ALTech). Cynthia Ndubuisi owns a social enterprise called Kadosh Production Company, in Nigeria to help women farmers produce recycle cassava waste. Each of the other 21 fellows are just as impressive. Our hope was to help them move up to the next level in their entrepreneurial careers. We did that with a 6-week focus, first with a short course on design thinking at the Thayer School of Engineering, and then a month-long course where we applied human-centered design principles and techniques to business startups. In line with Dartmouth College’s current emphasis on experiential learning, we made sure the fellows had lots of time to try and practice the various design techniques, working collaboratively on seven different business projects. At the end of the month, they pitched a panel of Tuck Business School professors and Dartmouth leaders. The business ideas and pitches were astounding, to be honest. I’ve witnessed my share of “real” startup pitches. The ones by the fellows were better than 90% of the ones I’ve seen. The real secret sauce, aside from the design techniques and the Business Model Canvas we used as a tool, was a relentless focus on people. People gave the ideas and designs a clear focus; people helped them understand the various partners and allies they’d need. The ideas ranged from helping poor farmers in Chad to raising the social economic status of poor street garbage pickers in Tanzania. The Dickey Center of International Understanding at Dartmouth did an amazing job in creating this vibrant and experiential curriculum. 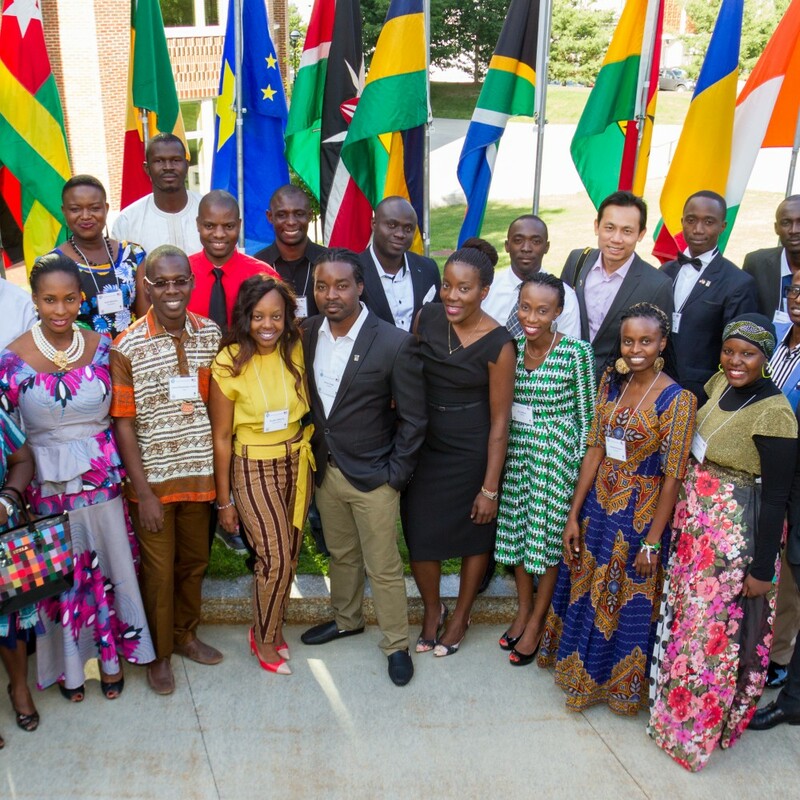 It seems to me like this is too good to offer up solely as a summer program for YALI fellows; I’m sure American entrepreneurs and international development professionals could benefit from this as well. I can’t wait to see what happens when these Africans go back home to share and implement their new learnings. I have no doubt that their American experience will produce great things.